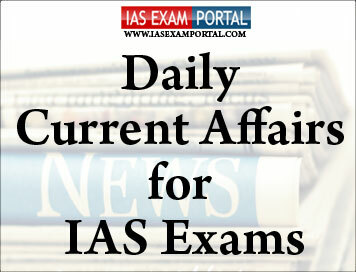 Current Affairs for IAS Exams - 11 October 2018 | IAS EXAM PORTAL - India's Largest Community for UPSC Exam Aspirants. In this regard, a well drafted dispute resolution mechanism and a comprehensive understanding of best practices and procedures would complement the initiative and give the much-needed impetus to effective and timely enforcement of contracts. NITI Aayog first highlighted the importance of Arbitration by organizing a successful two-day conference on international arbitration in 2016 with over 1400 participants, which was presided over by the President of India and Prime Minister of India and saw participation from the Chief Justices of all SAARC countries. Maldives’ outgoing President Abdulla Yameen has challenged his recent election defeat, with his Progressive Party of Maldives (PPM) on Wednesday filing a legal petition claiming the September 23 presidential election was rigged. According to local media reports, lawyers representing the party said they received “numerous complaints” from Mr. Yameen’s supporters. The PPM had, therefore, decided to “seek legal recourse” to uphold its members’ rights. It is so far unclear if the Supreme Court has accepted the case, but the move has stirred those hoping for an easy power transfer from strongman President Mr. Yameen to Opposition candidate Ibrahim Mohamed Solih, who defeated him with 58.4 % of the vote. The Election Commission has denied the charge. Some of its commissioners also raised concerns over receiving threats from supporters of Mr. Yameen in the last week . “If the PPM wants to go to court, we are ready for the fight. It was an absolutely free and fair election and we have nothing to hide,” Commission spokesman Ahmed Akram told. The Indian Ocean Archipelago has been on the edge since February, after a dramatic Supreme Court ruling that freed Mr. Nasheed and nine other Opposition leaders. Within days, the order was overturned and Mr. Yameen declared a 45-day State of Emergency, setting off a political crisis. The recent election was expected to help restore normalcy in the troubled island nation. The Aluminium Association of India (AAI) has written to the government asking it to stop prioritising coal supply to power plants. The exclusion of other industries that required coal was depriving them of the much-needed raw material essential for their functioning, the association said. The government on September 22 directed State-run coal companies to first send coal rakes to power plants as they were facing acute shortage of coal. This new ad hoc decision without any advance notice has brought the industry to a standstill and industry has been left with no time to devise any mitigation plan to continue sustainable operations,” AAI added. The association said that aluminium smelting required uninterrupted power supply and that any power outage of two hours or more would result in the freezing of the aluminium pots and shutting down of the plant for at least six months. But, this isn’t all that is affecting the industry. “One major issue affecting the industry is that, since the U.S. and China have levied import tariffs on each other, the other large economy they can send their aluminium scrap to is India,” a senior official of one of the largest aluminium companies in India said on condition of anonymity. The International Monetary Fund (IMF) on Tuesday forecast a growth rate of 7.3% for India in the 7.4% the next year.In 2017, the growth rate was 6.7%. “India’s growth is expected to increase to 7.3% in 2018 and to 7.4% in 2019 [slightly lower than in the April 2018 World Economic Outlook (WEO) for 2019, given the recent increase in oil prices and the tightening of global financial conditions], up from 6.7% in 2017,” the IMF said in its latest World Economic Outlook report. India’s medium-term growth prospects remain strong at 7¾%, benefiting from ongoing structural reform, but have been marked down by just under ½ percentage point relative to the April 2018 WEO, it said. According to the World Economic Outlook, in India, reform priorities include reviving bank credit and enhancing the efficiency of credit provision by accelerating the cleanup of bank and corporate balance sheets and improving the governance of public sector banks. Using a small molecule that activates two enzymes (CBP/p300 histone acetyltransferases), researchers from India and France have been able to completely recover long-term memory in mice with Alzheimer’s disease. Neuron-to-neuron connections that form the network were re-established leading to memory recovery in the diseased mice. The therapeutic molecule used in the study was synthesised by a team led by Tapas Kundu from the Molecular Biology and Genetics Unit at Jawaharlal Nehru Centre for Advanced Scientific Research (JNCASR), Bengaluru. Harvinder Singh notched up India’s maiden archery gold in the Asian Para Games by finishing on top in the men’s individual recurve event, while the country also picked up three silver and four bronze medals on day 5 of the competitions here. The W2 category of impairment covers athletes with paraplegia, diplegia or double leg amputation below the knee, requiring wheelchair.